Assault. Maneuver. Lose 5 points to play in your core. 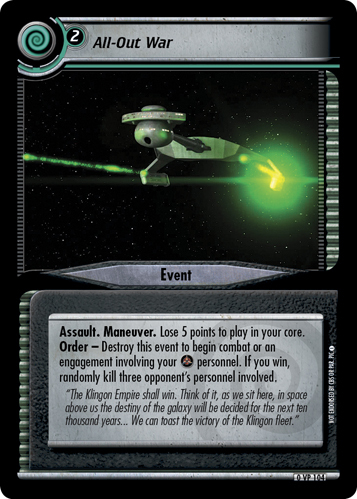 Order - Destroy this event to begin combat or an engagement involving your personnel. 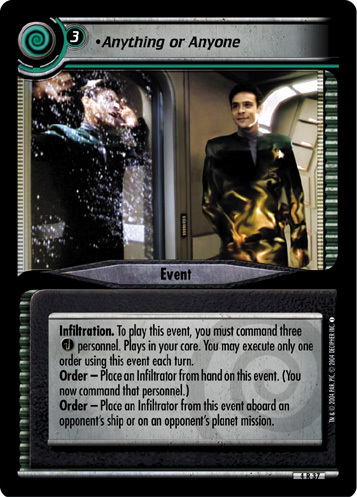 If you win, randomly kill three opponent's personnel involved. 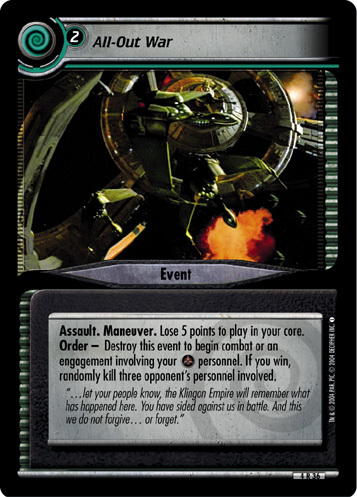 "...let your people know, the Klingon Empire will remember what has happened here. You have sided against us in battle. And this, we do not forgive... or forget." 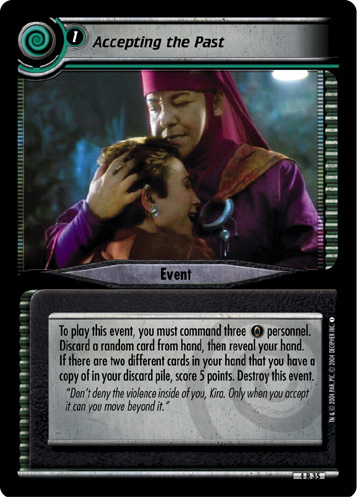 Image Source: Deep Space Nine: "The Way of the Warrior, Part II"